Moscow, October 11 – The Russian Orthodox Church has pledged a tough response from its Synod to Constantinople’s actions in respect of Ukraine. 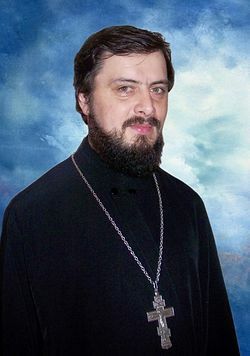 “Our response will be very decisive and tough, it will be adequate to the current situation,” Archpriest Igor Yakimchuk, the Moscow Patriarchate’s external relations secretary in charge of inter-Orthodox relations, told the Rossiya-24 television channel on Thursday. At its meeting in Minsk on October 15 the Russian Holy Synod, “the supreme executive body of the Russian Orthodox Church, will give a proper assessment of what happened today,” he said.